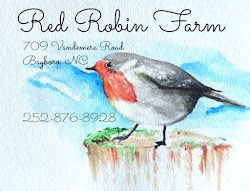 Part of Red Robin Farm is Red Robin Soaps, a small (very small) business I've been running for about six years. Christmas is a busy time for selling my products, and summer is somewhat busy too. I never know when the farmers' market will give me a crazy successful day, or a r e a l l y s l o w day. Regardless, I have to be ready for my customers! 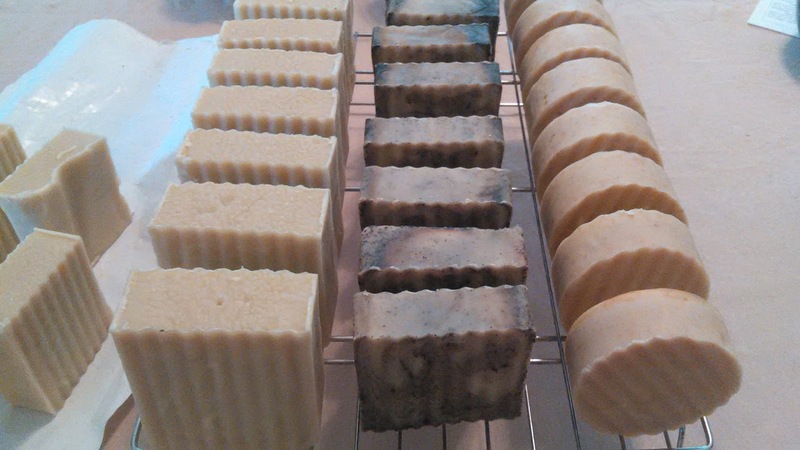 So I've been making soap and lotion bars this past week. If I need soap a month from now, I need to make it today because it must cure for weeks. Saturday afternoon, I made soap. Those three types are clove/lemon, chocolate/coffee, and coconut/mango. The first kind I made for myself. I tried the clove/lemon combination this spring, and it's my new very favorite soap aroma. Many of those tall square bars will be for my bathroom. The other two types sell well with customers looking for something very aromatic and fun. Coffee lovers adore that middle soap. I also made a bunch of new insect repellent lotion bars. That's fourteen bars, 3 ounces each. It may last me for two markets or for five. Hard to say. But with the rains we've had, and the mosquitoes that inevitably follow, I'm thinking they'll sell out. They are $5.00 each. 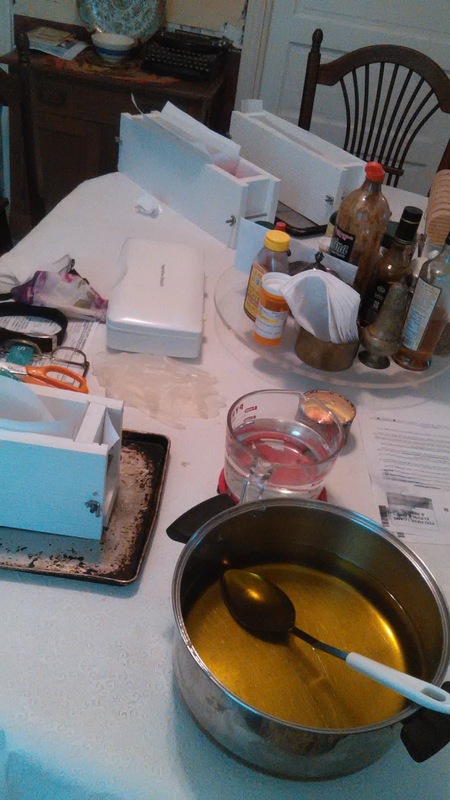 Today I'm making a second soap batch. I don't usually make two batches so close together, but my inventory is quite low. 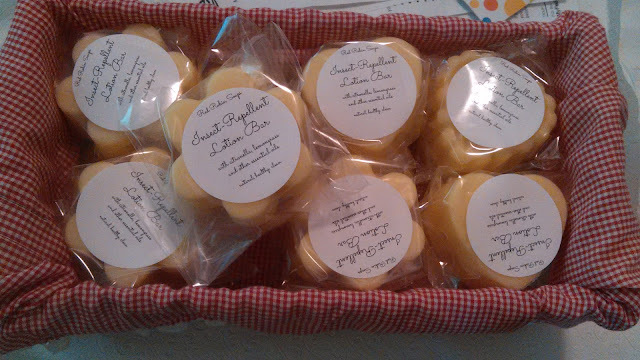 On Saturday a fellow crafter bought ten soap bars to put in her booth at an antique mall in another city. I'm down to probably only 20 - 25 bars of soap. My new packaging makes my soaps sell a bit faster. Today I'm making lavender, tea tree, sandalwood, and lemongrass. 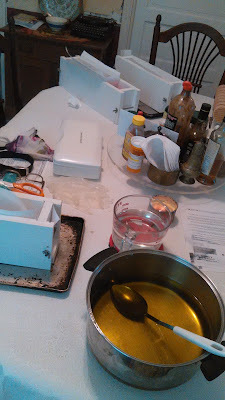 The dining room table is full of soap-making paraphernalia and the house smells wonderful. It's quiet here on Memorial Day. Adam is at the hospital visiting a parishioner. Julia is with friends in town. I'm sipping tea and doing laundry too. 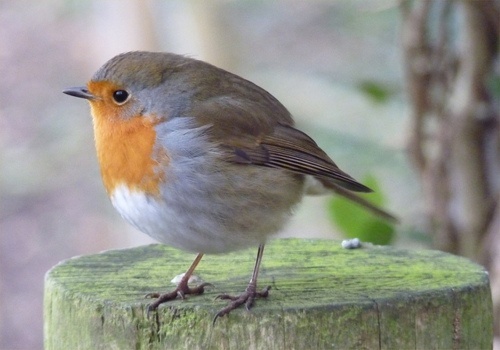 I hope you have a lovely day! I think I might need a bar of your mosquito repellant. They attack me something fierce. Your soaps look and sound wonderful. I love scented soaps. They are one of my favorite things. Have a great week, and happy making goodies for your summer market days. The scents are almost coming through my computer screen. Yummy. 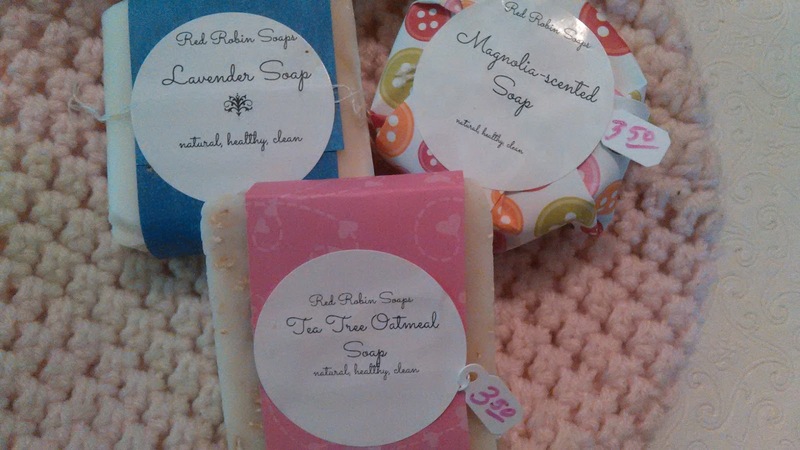 Your soaps and lotion bars look great. You do a nice job of presentation and the scents sounds really good too. I hope you have busy market days! Are you selling your weaving work too?